With Alexis Sanchez thriving in a central role and Olivier Giroud scoring goals with ridiculous scorpion kicks, the need for a new striker at Arsenal has not been felt as much as in previous seasons. That doesn't mean Arsene Wenger isn't on the lookout for a fresh face, especially if he thinks someone can come in and guarantee the team 20-30 goals a season. While there might be a dearth in proper centre-forwards in Europe at the moment, Wenger is keeping an eye out for players with potential and ones he feels could turn into the next Luis Suarez or Robert Lewandowski. One of those is Andrea Belotti of Torino, with the Italy international currently enjoying a wonderful season in the Serie A, scoring 13 goals in 16 appearances to go with four assists as well. The 23 year old has been monitored by Arsenal for a while now and Wenger has even considered making a move in the January transfer window for the striker. 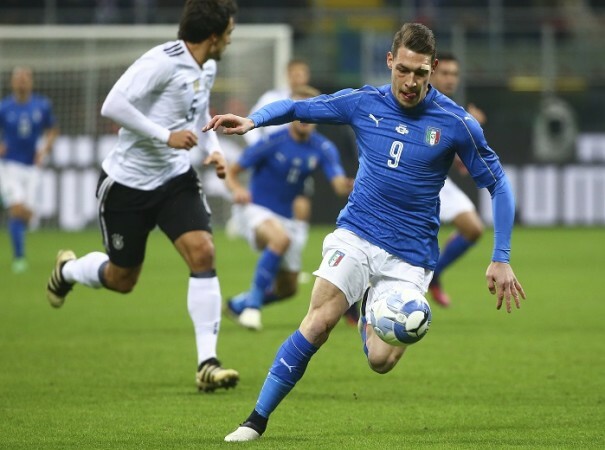 However, Torino have informed Arsenal and other potential suitors – and there are plenty of those – that Belotti will cost €60million (around £51m). Put off by that asking price, Arsenal are willing to play the wait and watch game for now. "Arsenal have an option for Belotti from Torino, and he is available for €60m," a source told The Sun. "That is to get him now before any other teams come in for him, but Arsenal will not pay that amount just yet. "They will wait to see what happens with him this season, and think about moving for him again in the summer." Apart from Arsenal, the likes of Manchester United and Chelsea have also been linked with Belotti, so there is going to be competition if Wenger is indeed serious about completing the signing in the summer. At 23, he is definitely at the right age, but to shell out over £50m for a striker who is still not that proven on the big stage is over the top, even in this crazy transfer market, and the one thing Arsene Wenger does not do is make over the top, paying-so-much-money-is-insane signings.